Chromolithograph. 1857. 5.5 x 8.75 in (14.0 x 22.2 cm). Cincinnati: Ehrgott & Forbriger. 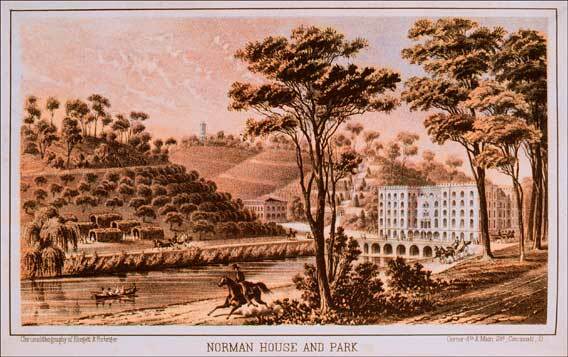 J. T. Crapsey, Norman House and Park: Statement of the Plan and Prospects of the Norman Company. Cincinnati: Wrightson & Co., Printers, 1857. Frontispiece. Rare Books and Special Collections Department.